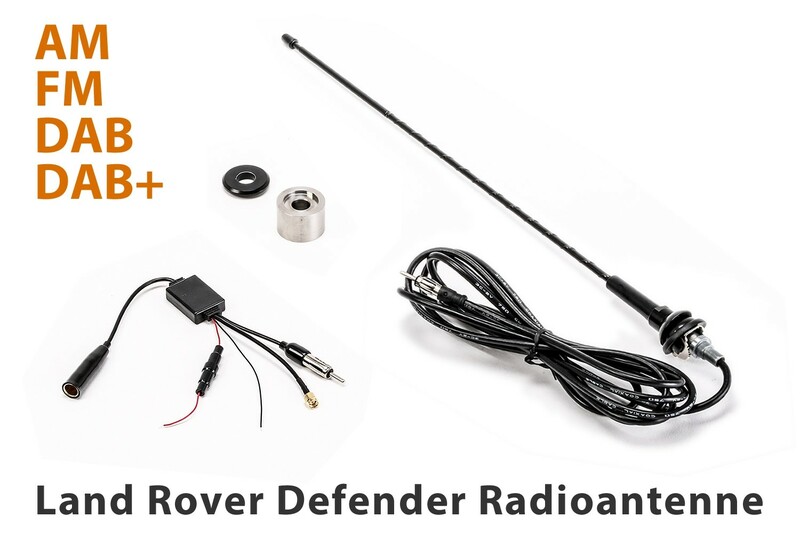 High quality antenna to fit Land Rover Defender 90/110/130 with existing antenna hole. 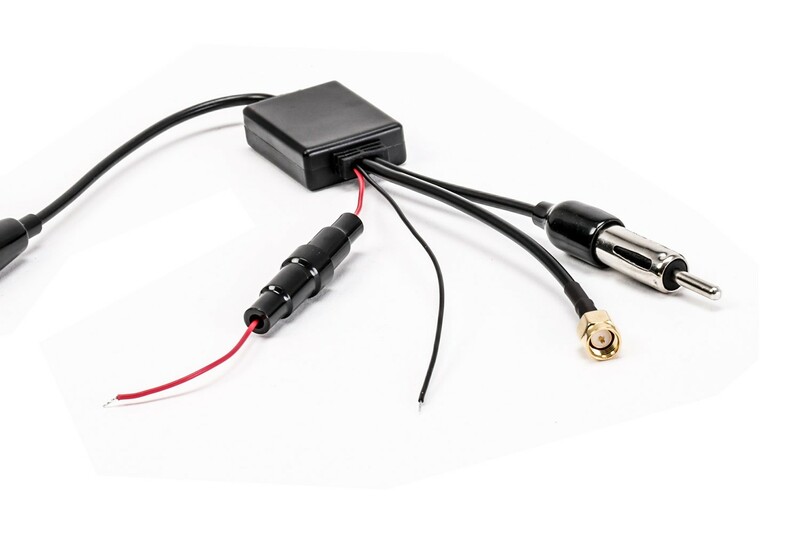 This is the replacement for the popular Hirschmann antenna, which is not available anymore. 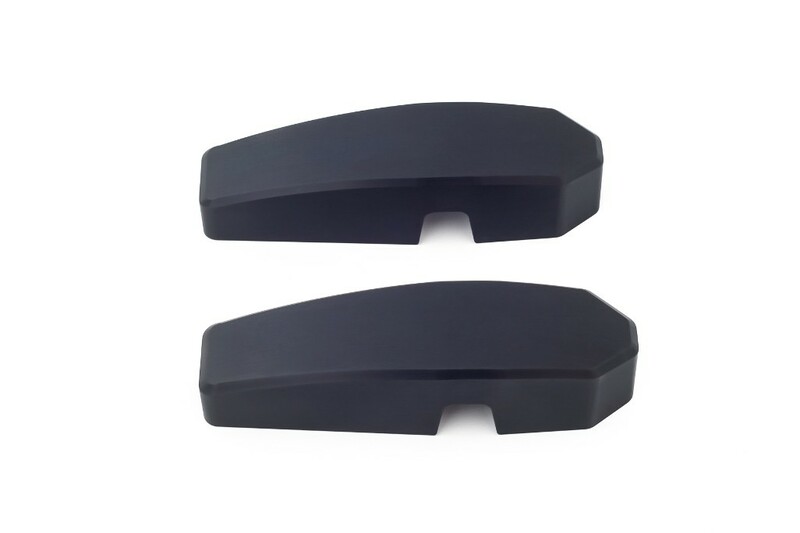 For optimised radio reception, higher sturdiness for driving through the bush and a high quality look. 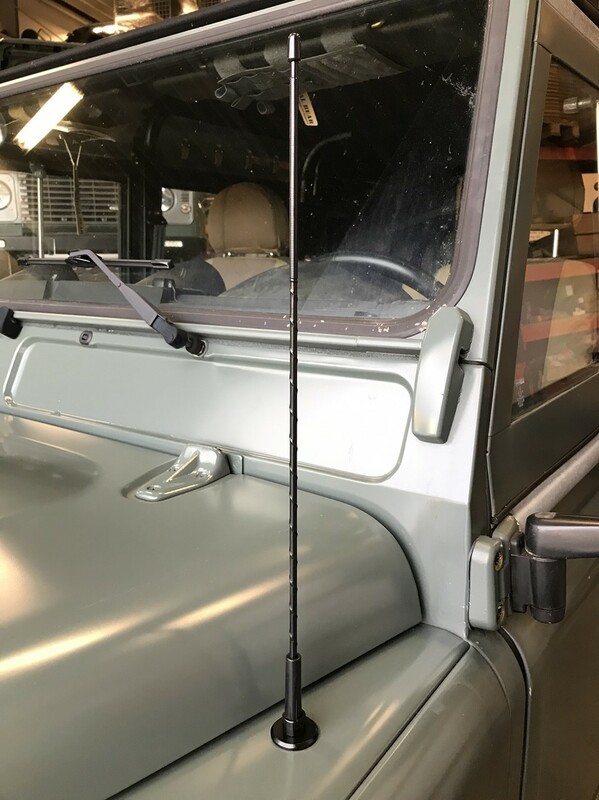 This antenna comes with a customized base to fit the original hole in the fender of the Land Rover Defender which is too big for a conventional antenna base. This robust and safe telescopic ladder is the perfect addition to your roof rack and roof tent or even as leaning ladder. 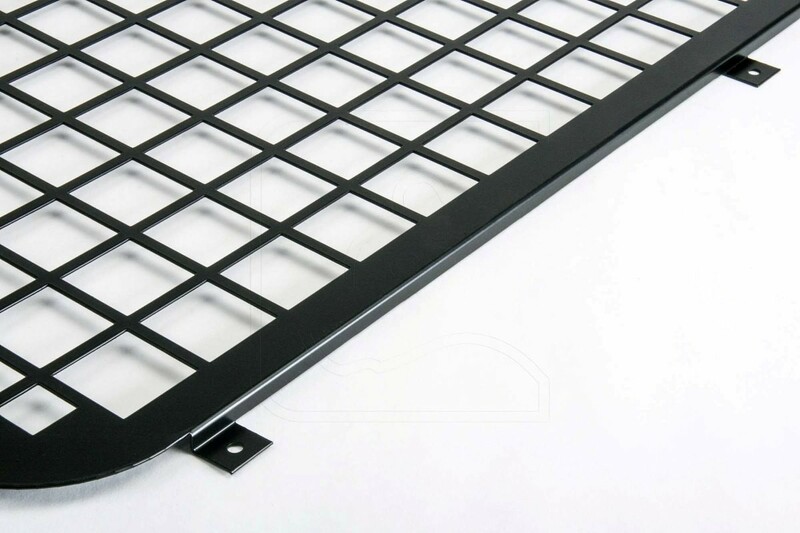 The maximum length is 2.4 meter and its ultimate load is 150 kg. 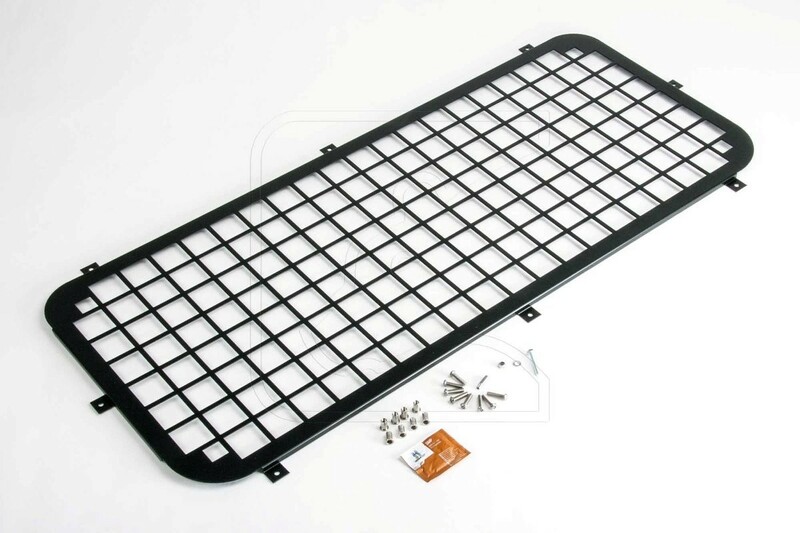 This ladder comes with 2 connectors, mounting material and carry bag. 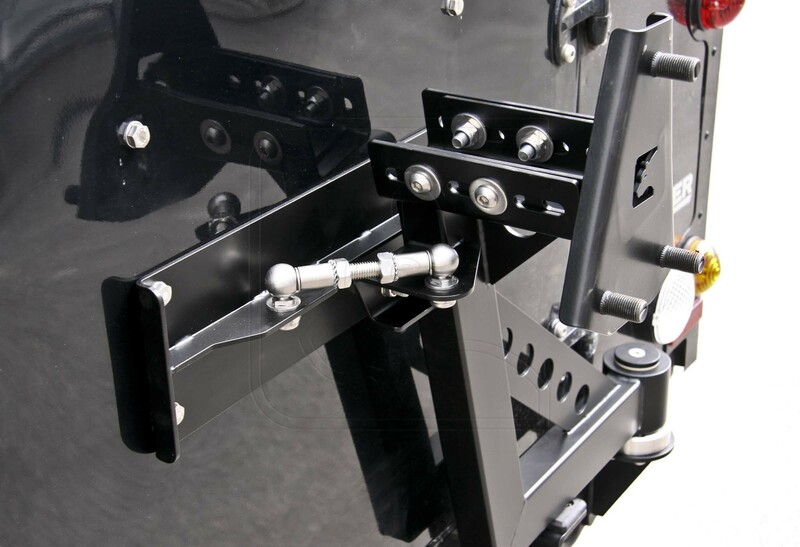 You could fit the connectors to the most used area to hook in the ladder quickly at anytime. 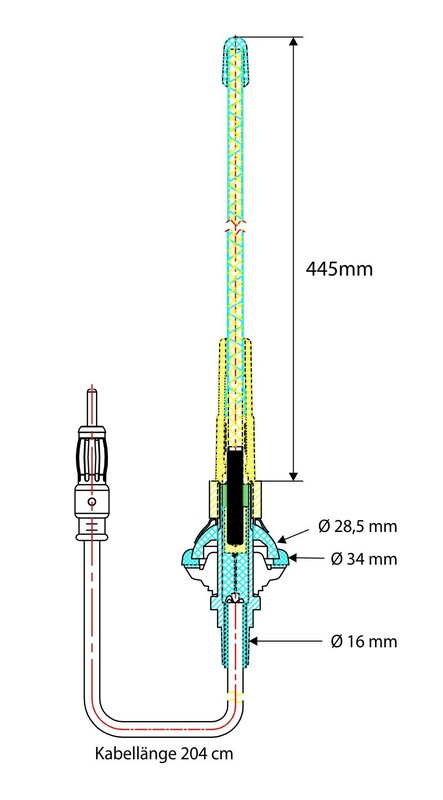 Length : lockable between 0.8 m and 2.4 m max. 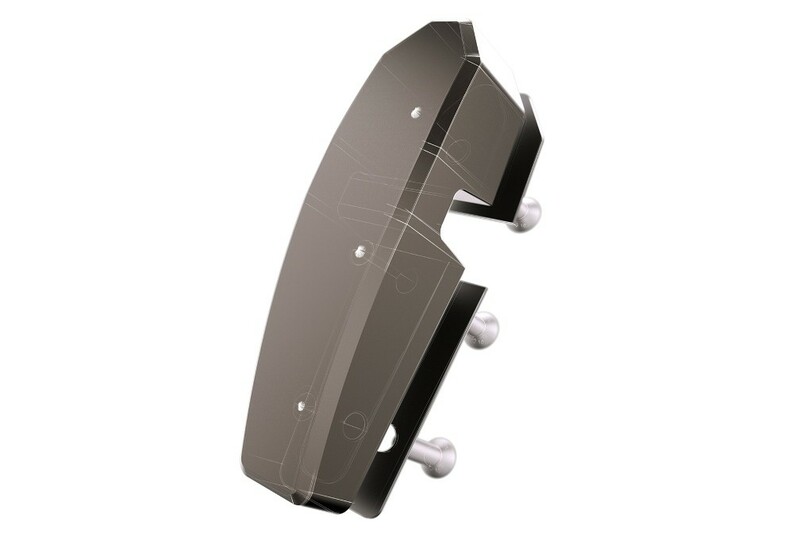 This pair of windscreen frame brackets is a high quality replacement for the original brackets. 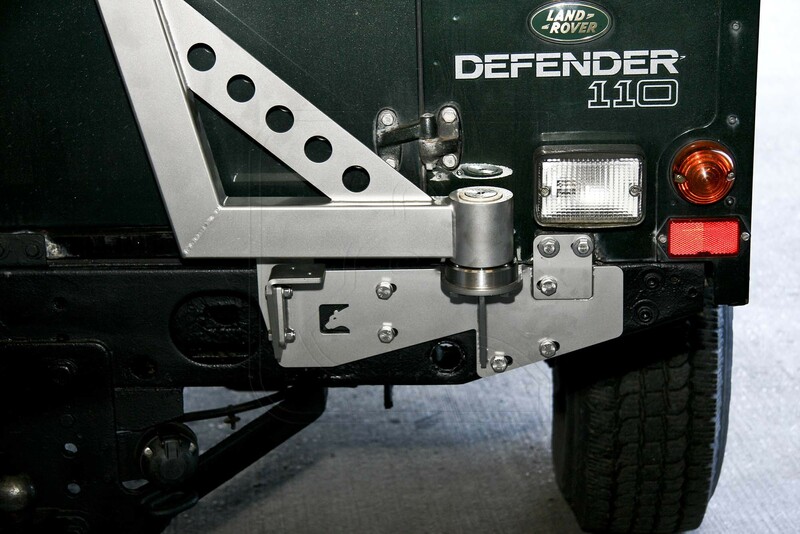 Suitable for all Land Rover Defender 90/110/130 from MY 1988 for other models on request. 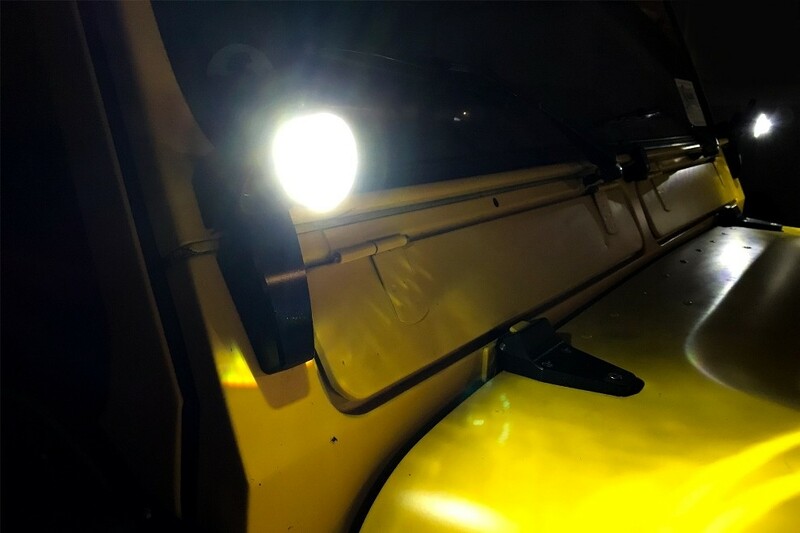 suitable for all Land Rover Defender 90, 110, 130 from MY 1988! 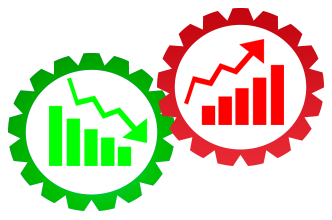 for other models on request. 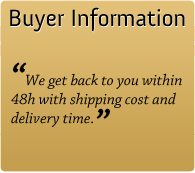 comes with seals and fitting material. 100 % MADE IN GERMANY!!! 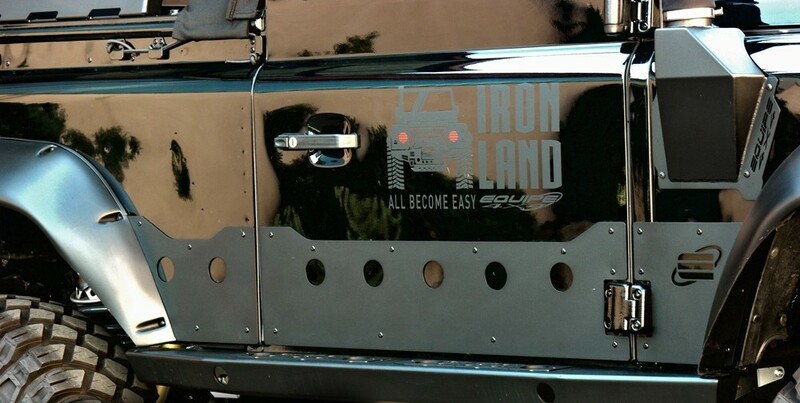 To see and to be seen is especially for an offroader in difficult terrain a MUST. This new pair of windscreen frame brackets comes with 2 Power LEDs (à 8Watt). The wiring is hidden and easy to fit without drilling holes. 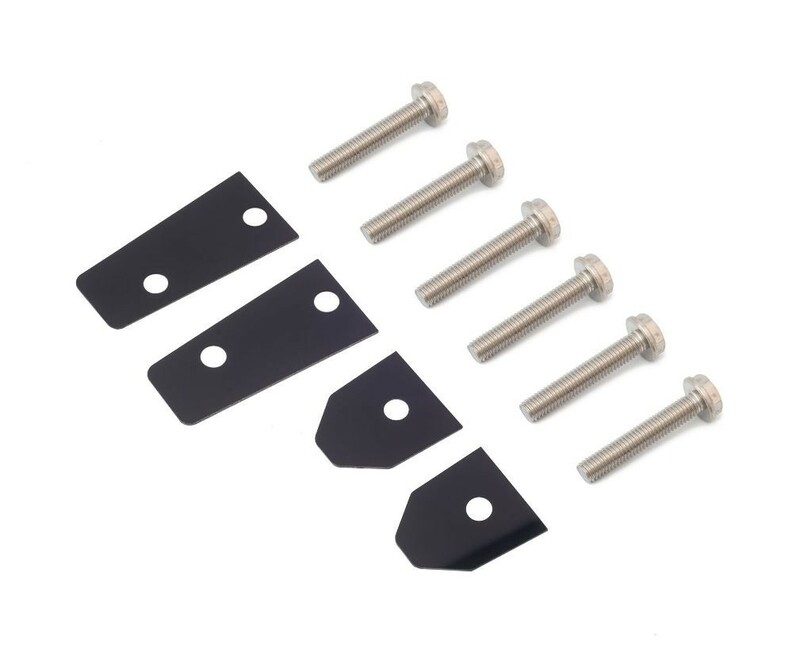 This is a high quality replacement for the original brackets. 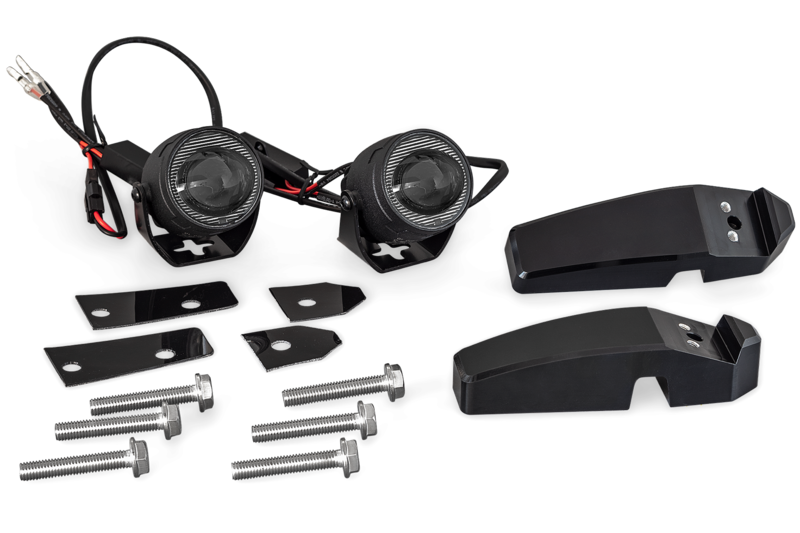 comes with 2 LED lights, seals and fitting material. 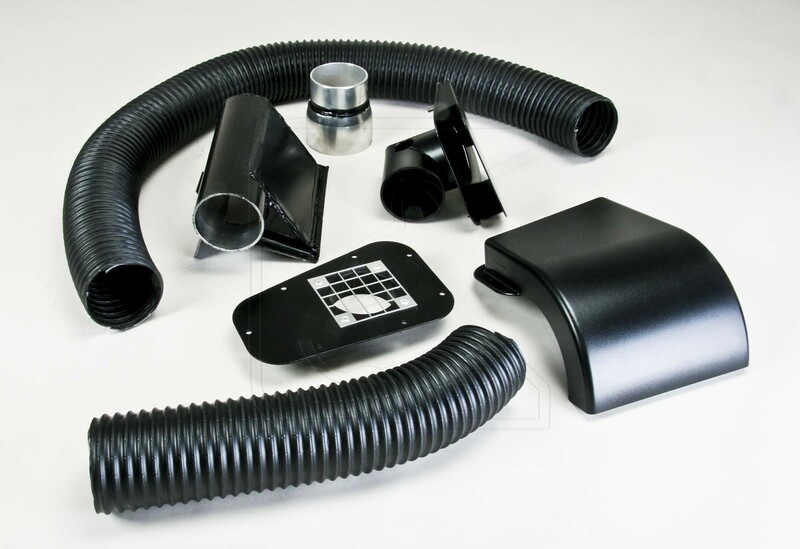 Optimized Air Intake for better performance for Land Rover Defender TD4 Puma 90/110/130 with 2.4L and 2.2L from 2007. 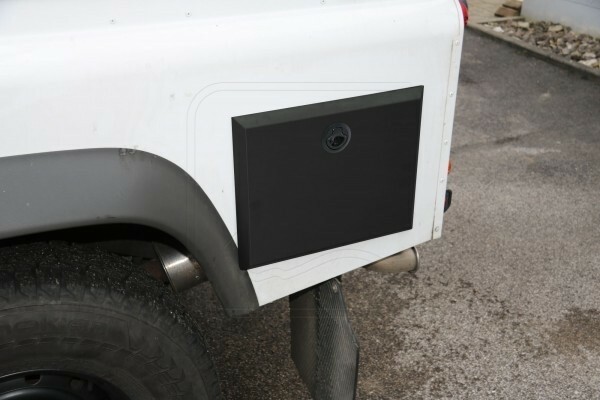 The cover comes in stainless steel black powder coated. 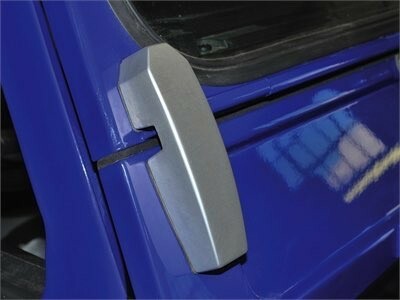 This pair of windscreen brackets is a high quality replacement for the original brackets which tend to rust. 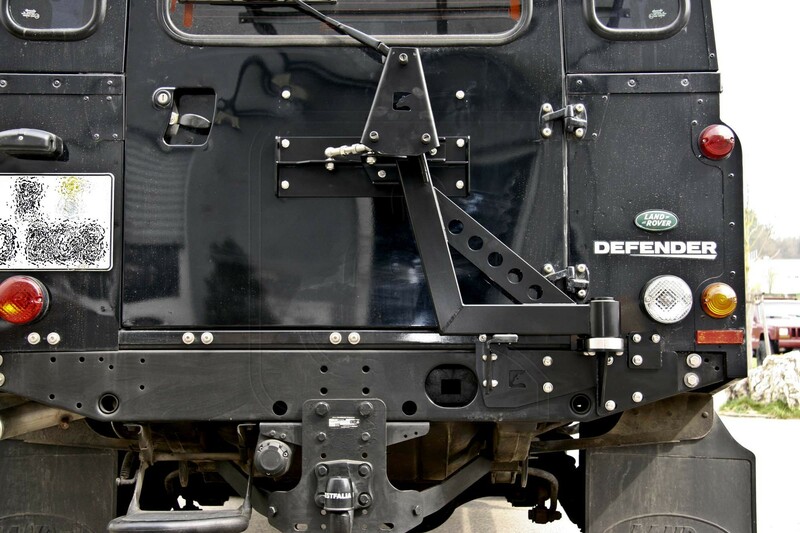 Suitable for all Land Rover Defender 90/110/130. 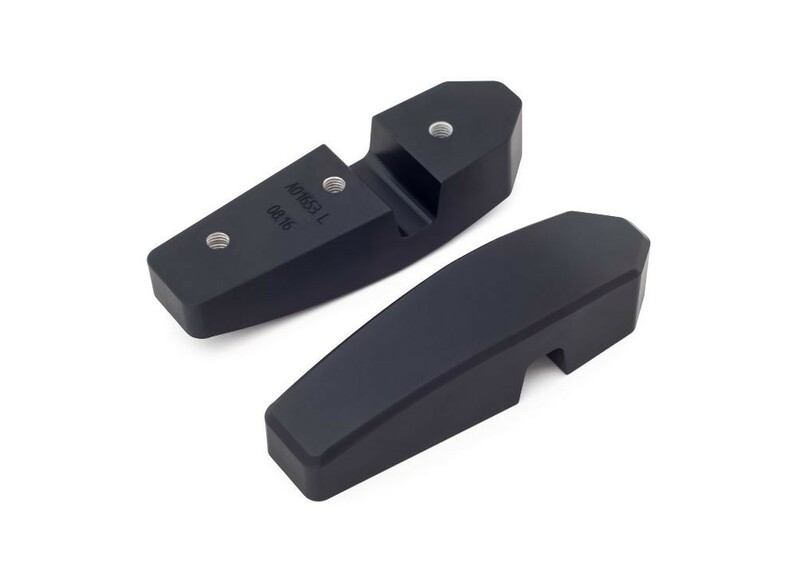 This is a pair of windscreen frame brackets with seals and fitting material. 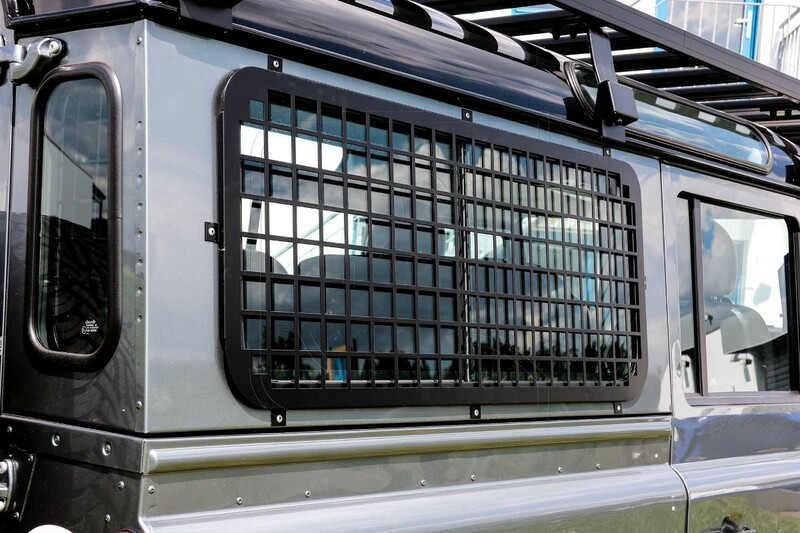 This spare wheel carrier is made of stainless steel by Nakatanenga and fits Land Rover Defender station wagon and hard top to 2001. 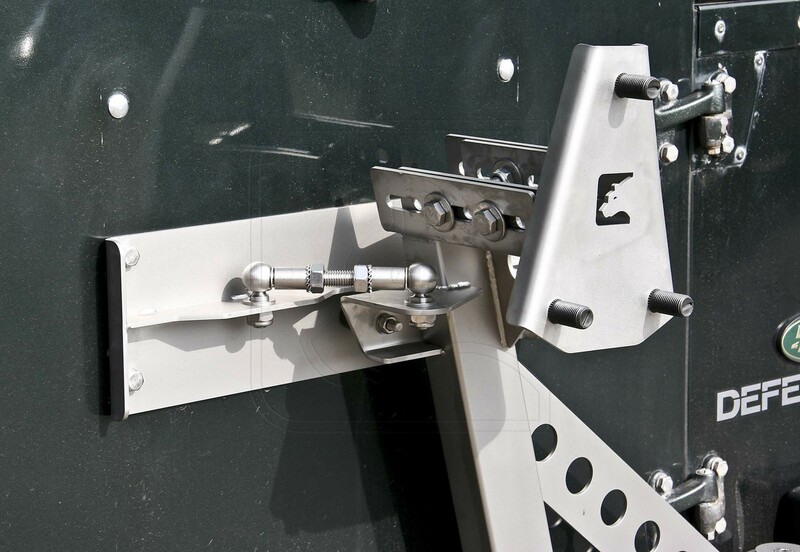 The carrier is fitted to the rear cross member and a plate is fitted to the existing drill holes on the door which is connected with the carrier by 2 stainless steel swivel heads. 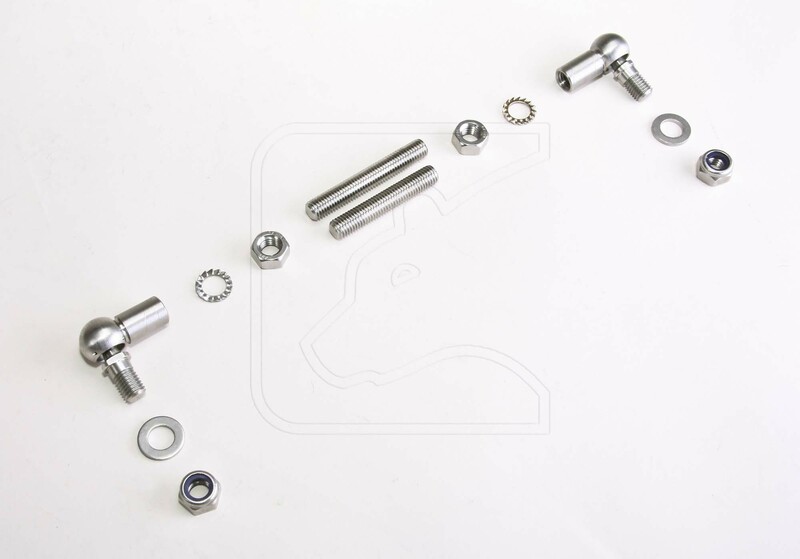 It is entirely made of stainless steel and its bearing is maintenance free. 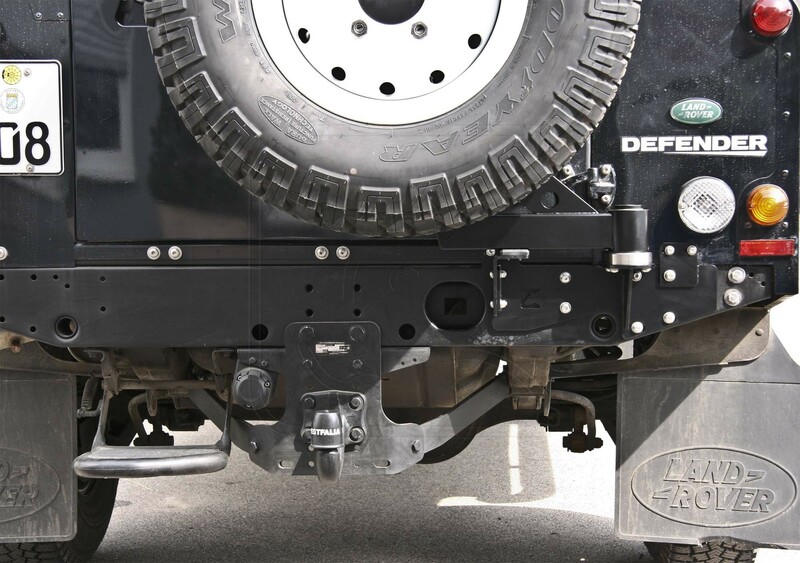 The carrier is compatible with NAS rear step and Land Rover bumper with tow bar. 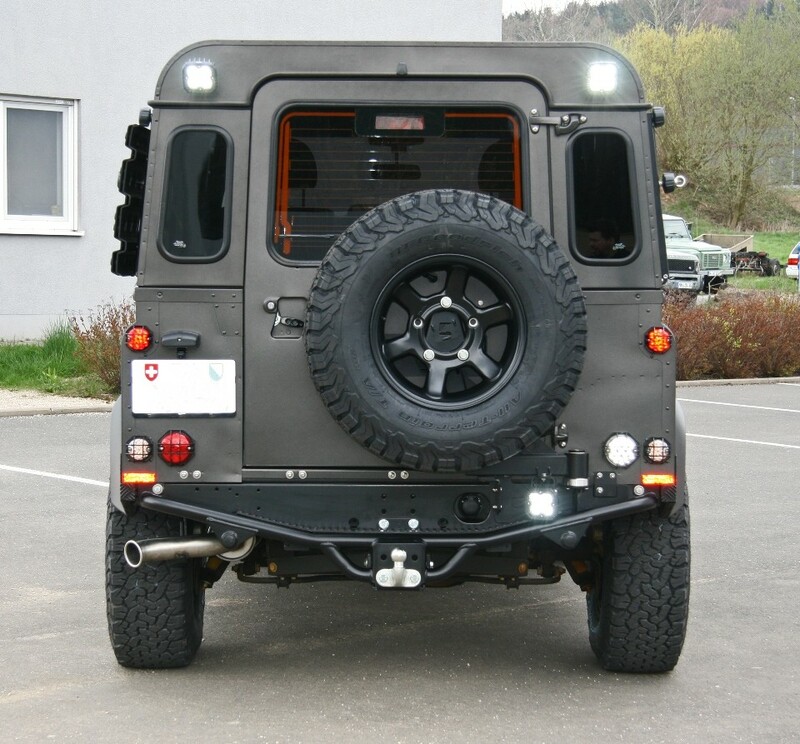 The spare wheel carrier has a slot for an optional reversing light such as the Vision- X Duralux 90o LED reversing light with E- mark of conformity. 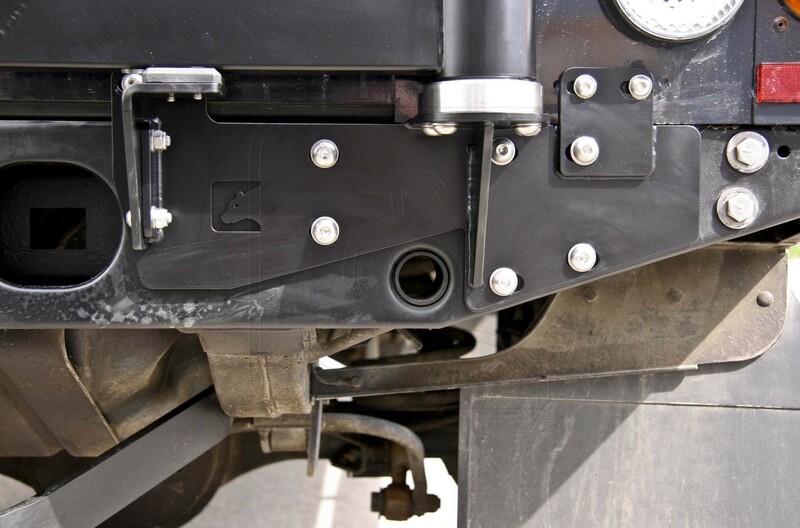 The spare wheel carrier sways open together with the rear door so there is no need to unlock anything separately. 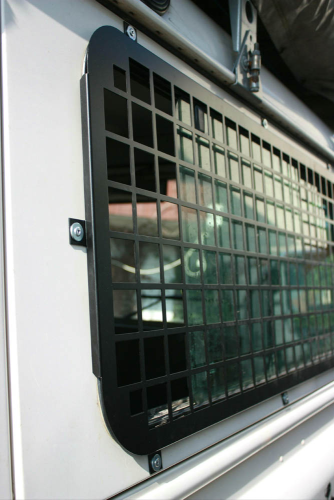 This carrier is available in stainless steel natural or stainless steel black powder coated. 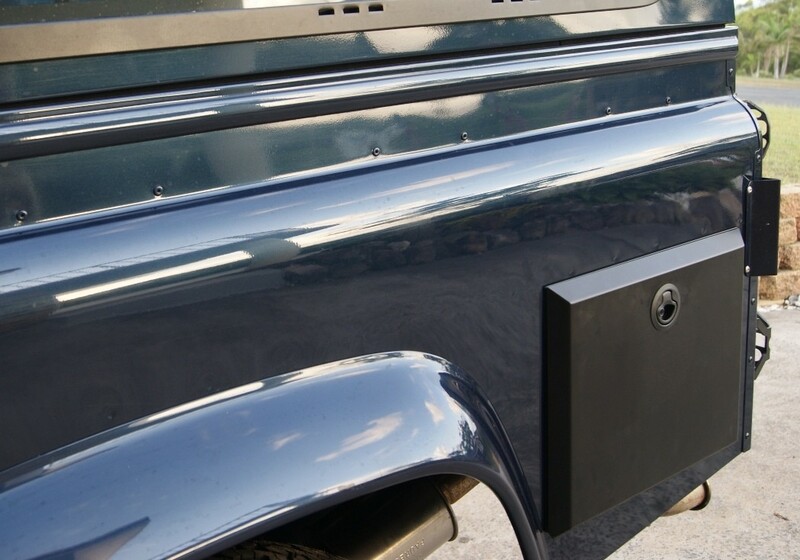 This spare wheel carrier is made of stainless steel by Nakatanenga and fits Land Rover Defender station wagon and hard top from 2002. 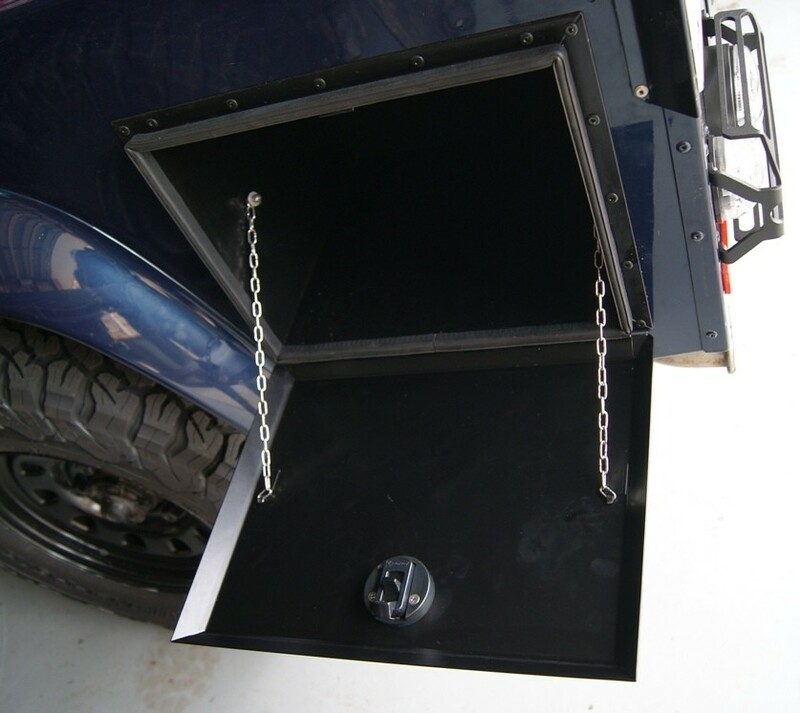 This storage box is fitted in the left rear wing, provides a plus on storage space and is accessible from the outside. 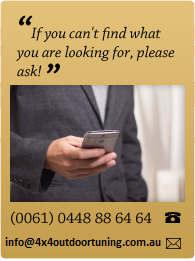 Ideal for recovery gear, tools, gumboots etc. 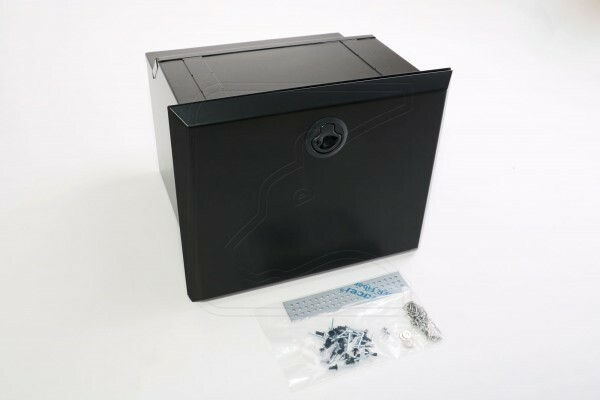 The box is made of stainless steel, waterproof and lockable. The lid is connected with 2 thin steelropes and when open the lid is at a 90o angle which turns it into a convenient table. 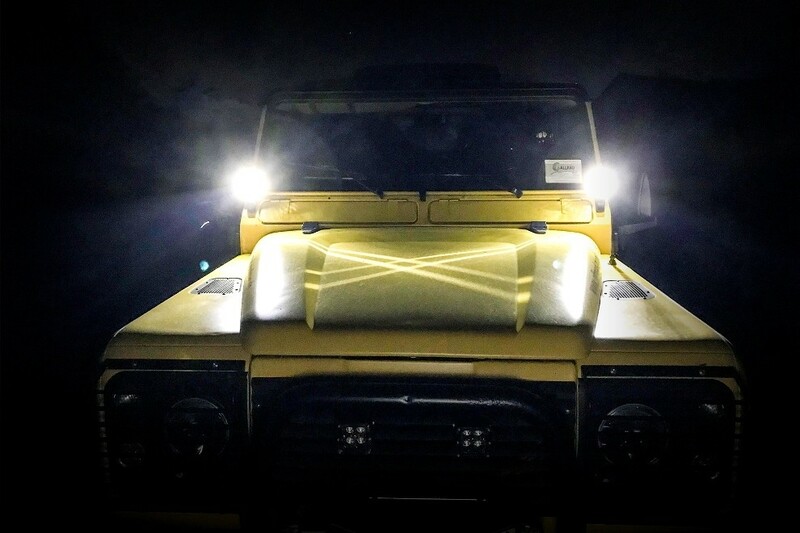 For Land Rover Defender 110 from MY 1992, Tdi, Td5, Td4. 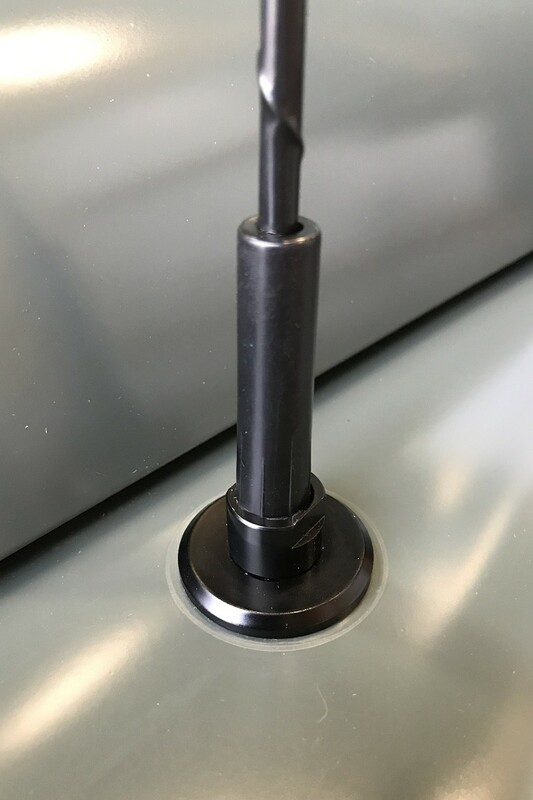 The lid is stainless steel black powder coated in RAL9005 matt. The box comes with 2 keys and all fitting material.